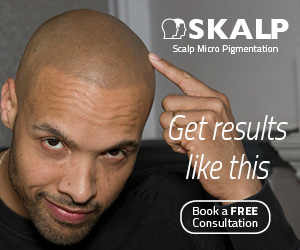 Since the development of scalp micropigmentation, a number of leading providers have emerged. These providers are those that demonstrate ultra-realistic, consistent results over an extended period of time, and have shown that they offer a level of service and professionalism to match. SMP may be a young industry but the age-old rules of business still apply. The product has to be good, very good in fact, and provided by a company with an excellent reputation for customer service. Slowly but surely, Scalp Aesthetics is emerging as one of those companies. 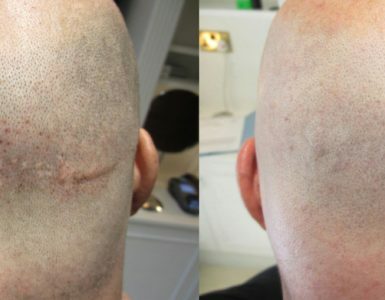 It takes time to build a solid reputation, but the team at Scalp Aesthetics are achieving this little by little, with every result they turn out. One thing is for sure – Bryce definitely knows what it feels like to lose your hair. It’s an emotional experience for anyone, but when you look great with your hair and have a very active social circle, hair loss can be a bitter pill to swallow. The impact on your life can be profound, including the destruction of your confidence and self-esteem. At first I began wearing hats everywhere I went, but it became this constant struggle to wear it with dressy outfits, keep friends from jokingly flipping my hat off and girls asking” why don’t you take off your hat?” I wouldn’t attend certain clubs or events that wouldn’t let me wear hats and it was ruining my business and social life. Bryce’s mantra is “Be the change you want to see in the world”, and he did exactly that by setting up Scalp Aesthetics following many years of product research and development. Since then Bryce’s uniquely flamboyant marketing style has captured the imagination of over 1000 clients, primarily from the United States and Canada although they have been known to fly in from all over the world to consult with Bryce and his team. Although Scalp Aesthetics clinics maintain a high level of professionalism, there is a distinct lack of ‘clinical’ atmosphere that you may experience elsewhere. This is a deliberate change instigated by Bryce and Co to provide a modern, stylish environment that is so obviously reflective of the personality of the owner. The result is a completely different ‘feel’ to the place, in comparison to their major competitors. What is the framework of the business? Their locations in Phoenix, Houston, New York City and Rochester are dedicated clinics, with Rochester also serving as the company headquarters. The Scalp Aesthetics location in Miami is shared with an existing medical practice, and their Mexico City clinic is operated by a franchisee, a former SA client who was trained by the company prior to setting up on his own. There are two full time technicians at each location, except Miami with one technician. The remaining sixteen locations are temporary locations, often utilizing short term office space. Bryce is keen to ensure that every client has the opportunity to have a face to face meeting prior to their procedure and if possible, to have their sessions at a location convenient to them. Their temporary locations serve this purpose. Alternatively, Bryce’s team offer to make suitable travel and accommodation arrangements on their clients behalf, to make their experience as easy and stress-free as possible. What I like about the Scalp Aesthetics approach is their willingness to do things differently. Central to this appears to be the customer experience, which can only be a good thing for their clients. 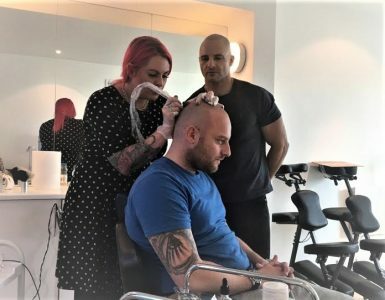 Getting scalp micropigmentation is a big decision, so anything that can be done to make the process as easy as possible must surely be welcomed. Yes, but it works a little differently in comparison to other providers. It consists of two parts. Clients are granted “free touch-up treatments until they are fully satisfied”. I do not know what limitations are placed on this guarantee in terms of time lapsed and number of sessions (and there will have to be limitations to make it viable), so it is worth asking the question when you contact them. Second, the company offers SCALPA Insurance. For a fee, Scalp Aesthetics effectively provide a lifetime guarantee to include slight adjustments and correction of fading, and participants also receive their own formulation Anchor lotion for ongoing maintenance of the scalp. When I was 16 I dropped out of high school, and decided to chase a dream in buying and selling surplus equipment. I lived out of my car, struggled but in a couple years, I ended up selling the business. A part of my flair in attracting clients and making my business different was my style, charisma and well… hair. When I lost it, it ruined me, I was only 18 years old and I decided to go on a mission. My wife was a makeup artist and I knew tons of tattoo artists as I have a lot of tattoos. I researched inks and needles and ways to do this all out of personal gain at first. My friends let me practice on their heads, because they had full heads of hair. I practiced on my legs, hands, everything! It all came down to the ink and needles I soon graduated to use. I make the ink derived from coal, as men in the 80s used ash to make tattoos in jail. By adding browns to this and other elements, I knew I had something. My wife did my head and it changed my life. It was so hard at first, building credibility, it’s not that easy to push, “I’m gonna tattoo your head and it’s gonna look amazing lol”. So I made it a side thing for a while and brought inside really talented people that worked for free for me and watched me because they believed in my vision and they felt something that no other job made them feel like– they were not only transforming heads, they were giving people confidence, a new lease on life, FREEDOM. I became known locally as the tattoo head kid, the next thing you know, lawyers, restaurant owners, CEO’s, reaching out to me for my services. I knew I had to jump off the cliff and make this my life. I feel it’s so neat, the opportunity we have, we sit over their heads, we bless them, we talk to them, they actually do more for me than I even do for them most of the time. I’ve made amazing friends all over the country, dinners with families, helped TONS of young men with cancer, scars from accidents and hair transplants. 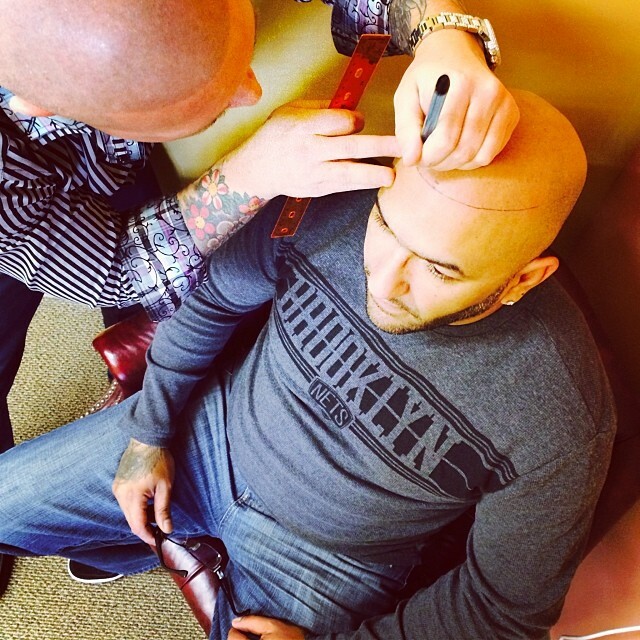 On that note – 73 percent of my clients last year were men who had hair transplants. WHAT DOES THAT SAY ABOUT THESE DOCTORS?. I find myself befriending them because I know they need me but at the same time hoping clients find me before they get butchered by the doctors. I decided to write a book about the amazing men I met through this process. I never had a real good father growing up and this business has been almost therapeutic to me, the connection, the love, the strength, the hope and well… The SOLUTION.